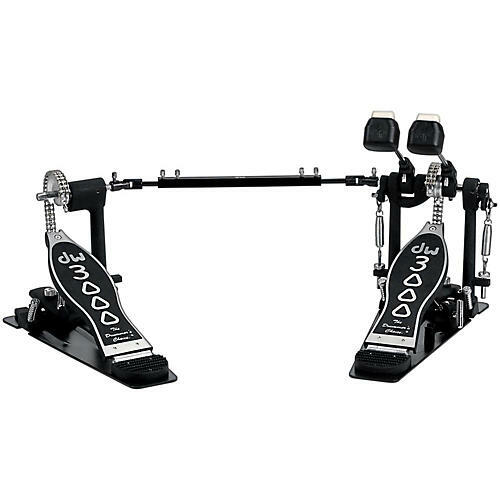 This DWCP3002 Double Kick Drum Pedal is packed with features like dual-chain turbo drive, bearing spring rocker assembly, 101 2-way beater, and heavy-duty all metal construction, with a price tag that's in reach for more drummers. DW believes that well made pedals shouldn't just be for the pros, but that they should be for all drummers. Note that DW products are not available for further discounting online. For additional information, please call 866-498-7882.